SystemMATE.com.my - Provides web programming solutions to local and global clients. 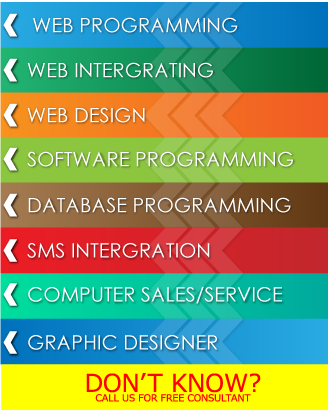 We provides a wide range of web services at affordable rates. These servicesinclude web application development, software development, IT development, Graphic designing, and yet IT solutions. We aim to provide creative and affordable web solutions, which will help you to create a unique identity and allow you to race ahead of your competitors. We believe in adhering to deadlines, while maintaining the strict standards of quality. We possess state-of-the-art infrastructure, latest hardware, and software facilities that allow us to deliver high quality web solutions to our clients. We strongly believe in the values of commitment, innovation, hard work, honesty, and integrity. We encourage regular feedback from our clients and focus on building long-term relationships with them. We possess an experience near two decades. We believe in learning new things and incorporating the knowledge in our projects.